Add that extra "oomf" to any look you might have with this two-tone bracelet. Its simple yet sophisticated design is light and easy to wear for an everyday look. 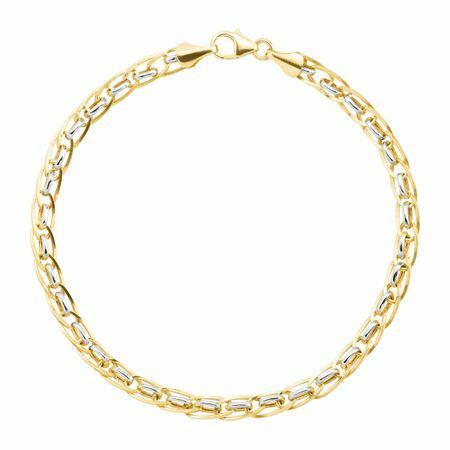 This bracelet has an interlocking link design crafted in 10K gold with rhodium plating its center links, creating its stylish two-tone appearance. Piece measures 7 1/2 inches in length.